Mountains are a place where many of us find relief and gain a new perspective on the world and the problems of everyday life. 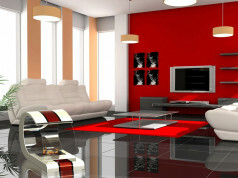 So many designers refer to these beautiful creations of nature. 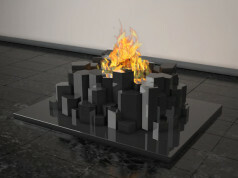 Hillside designed by Flying Cavalries is an example of this unique bio ethanol fireplace design. 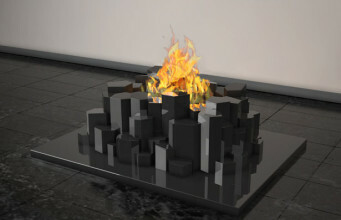 The designers of this bio ethanol fireplace were Hasan Agar and Kubra Agar. The project of a bio ethanol fireplace is inspired by the mountains and its use evokes the feeling of being on the hillside. 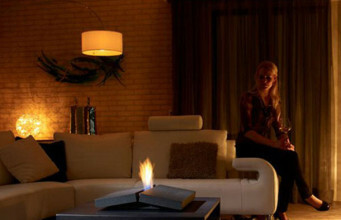 The structure of this bio ethanol fireplace consists of an ergonomic chair, sofa and coffee table, which can be integrated with each other and disconnected, as required. Hight quality natural materials such as oak, natural stone, and glass, were used to construct this bio ethanol fireplace. Hillside can be used as a simple, stylish table sweetening the meeting with friends, and during cold evenings in less than a minute it can be transformed into a charming bio ethanol fireplace. 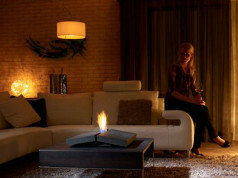 Just as quickly we can change it into an oasis of relaxation and tranquillity, because it can serve as a soft couch next to which a charming bio ethanol fireplace is lighting. And when we are lying on this the ergonomic sofa next to a blazing fire we will be accompanied with very nice, warm and unforgettable emotions. 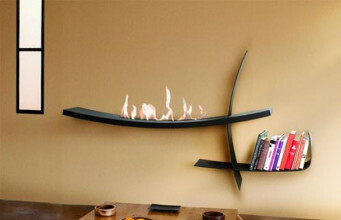 This highly creative design of the bio ethanol fireplace will certainly change the life of the owner, let him listen attentively to himself and grow away from the stress of everyday life. 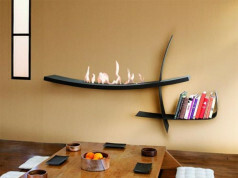 Operation of this bio ethanol fireplace is extremely simple, and the possibility of integrating the various parts into a compact unit makes this product extremely ergonomic. 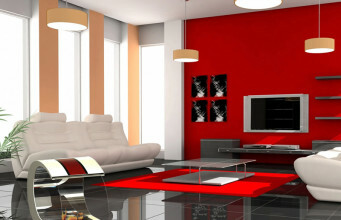 Its dimensions after the assembly are the following: 130cm x 70cm x 40cm. 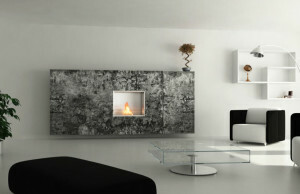 This bio ethanol fireplace is made ​​to order, and the cost of purchase is £ 5930.